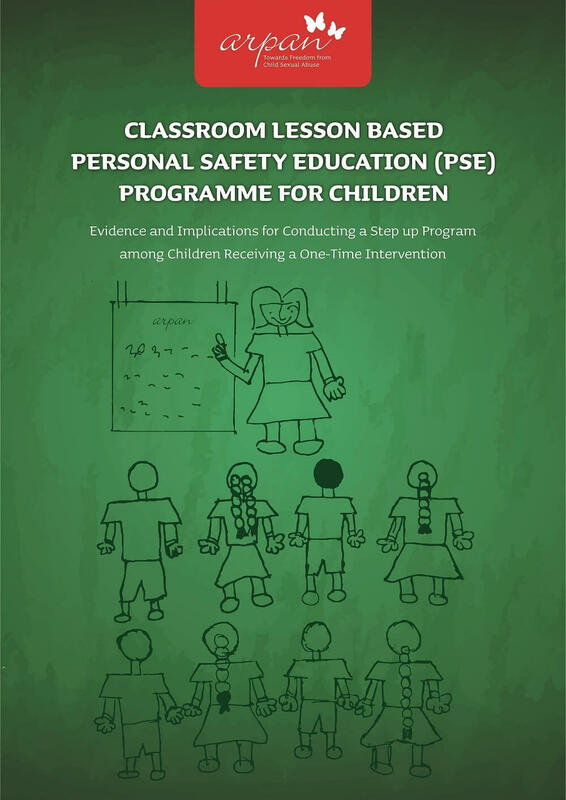 The Personal Safety Education (PSE) Programme is Arpan’s key prevention programme that aims to enable and empower children within schools, communities, and institutions with age-appropriate information and life skills needed to protect themselves from potential incidents of sexual abuse. Since 2016, Arpan has also started the step-up PSE programme, with an objective to prolong the retention of key concepts through the reiteration of messages while providing children with the new age-appropriate information. The findings from the current study have corroborated the importance of conducting a step-up programme with children, as it was evident that the retention of messages declines with time. Most importantly, this study has been proven to be invaluable in guiding the implementation strategy of the organization, by identifying the appropriate time intervals for conducting the refresher programme. Arpan has been conducting the Personal Safety Education for the last 9 years and has touched the lives of over 70,000 children and 55,000 adults through 137 schools. 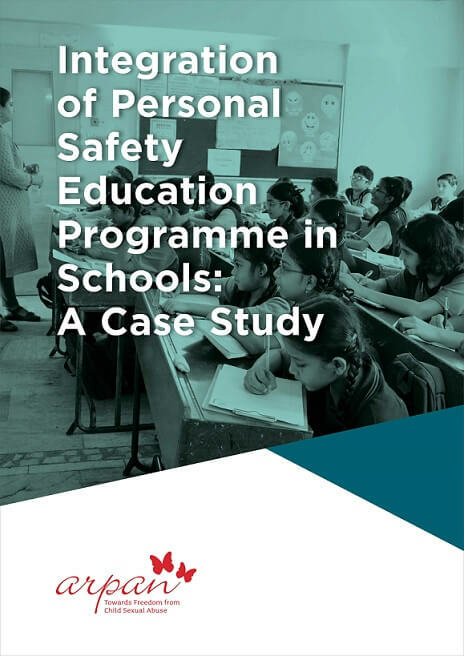 Arpan conducted an evaluation to assess the Personal Safety Education Programme after it has been integrated into the school curriculum. The evaluation showcased that children who are exposed to the programme can identify unsafe situations, refuse and report it to adults. It also showed that aware caregivers can play a significant role in preventing and intervening in cases of Child Sexual Abuse. This report was published in 2017. 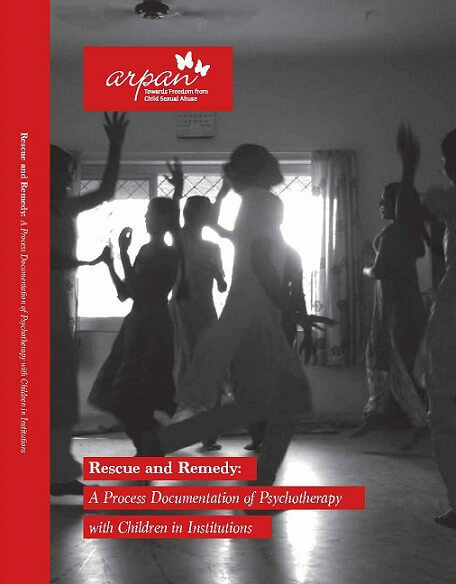 Arpan has been conducting long-term psychotherapeutic work with rescued minors living in institutions. Through sustained individual therapy and group sessions, we have seen the girls make remarkable journeys towards healing and self-actualization. This research is an outcome of documenting the process of this change and aims towards providing a model of psychotherapeutic intervention for working with children who have survived trauma and abuse. This report was published in English in 2015. 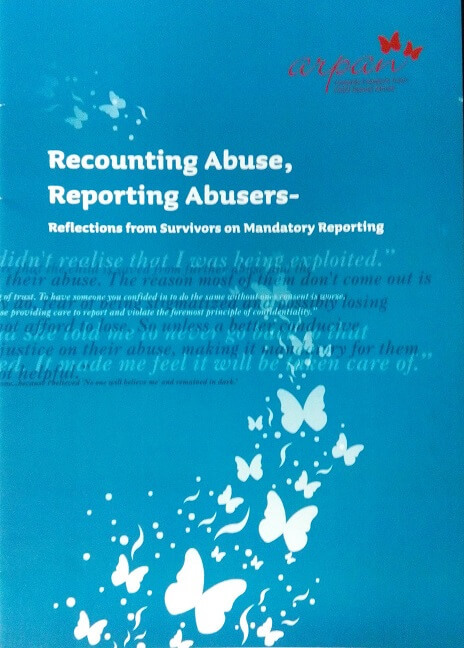 Recounting Abuse, Reporting Abusers: Reflections from Survivors on Mandatory Reporting. POCSO Act is the most significant piece of jurisdiction passed in favour of prevention of Child Sexual Abuse. The Act also calls for mandatory reporting of CSA by every citizen of the country. Since the primary benefactors of our work, and of the POCSO Act, are those surviving sexual abuse, we felt it was most important to assess their perception of the mandatory reporting clause. Arpan interviewed adult survivors of Child Sexual Abuse – as people coping/having coped with the trauma of being abused as children, adult survivors are perhaps more able to make sense of the abuse and its impact than children undergoing/ having undergone the same. Additionally, they are also more likely to be capable of cognitively distancing themselves from the abuse and providing feedback. Since the year 2006, Arpan has carefully recorded and documented incidents of Child Sexual Abuse as reported in some of the leading newspapers of Mumbai. This study is an analysis of the trends and patterns found in such newspaper reports between the years of 2007 and 2011. The outcome of this process has been a published research, titled, ‘Between the Lines- an Analysis of Media Reportage’ on Child Sexual Abuse which documents cases reported between 2007 and 2011. The report features the findings on the emerging trends and patterns of reportage and also provides suggestions to facilitate more inclusive reporting of the issue. Through this research, Arpan plans to converse about, rather than critique, the way the issue of Child Sexual Abuse is represented in mainstream media. 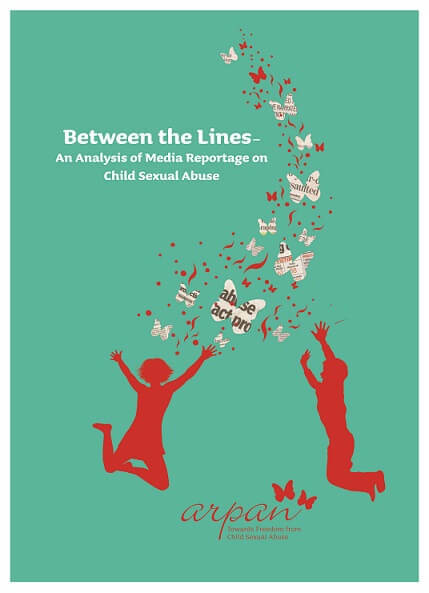 A synopsis of ‘Between the Lines- An analysis of Media Reportage on Child Sexual Abuse’ was also published in the newsletter of an International forum called ISPCAN, International Society for Prevention of Child Abuse and Neglect taking its reach to many more readers globally.